Recently, our very own Dr. Robert Caccavale was featured in an article regarding lung cancer screening with CONQUER magazine. Dr. Caccavale discussed 5 important things that every American should know when considering whether to have a lung cancer screening. Below we have included an excerpt from the piece and link to the full article. Recently, our very own Dr. Robert Caccavale was featured in an article regarding lung cancer screening on New Jersey 101.5’s website. Dr. Caccavale discussed the positive aspects of a yearly low-dose computed tomography (CT) screening (which is now covered by many insurances and Medicare) for those with an elevated risk of developing lung cancer. Finding the cancer early, he noted, drastically increases the chances of a positive outcome as opposed to finding it after symptoms have appeared. We’re proud of Dr. Caccavale being called upon for his decades of expertise in treating lung cancer and other thoracic conditions. Hear Dr. Robert Caccavale, an expert in minimally invasive Thoracic Surgery utilizing the VATS procedure, on-air Tuesday, May 5th on Magic 98.3 FM as he discusses the importance of lung cancer screenings, how to get screened, and the advantages of minimally invasive Thoracic Surgery. The interview is scheduled to air at 9:15am. In order to celebrate medical professionals during Nurses’ Week, the radio station is interviewing medical professionals on-site at different Central New Jersey hospitals each day. The station will be broadcasting live from CentraState Medical Center on Tuesday and will feature the special interview with Dr. Caccavale. 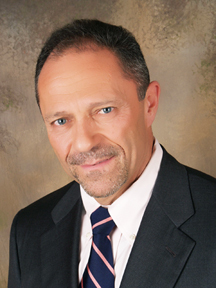 Dr. Robert Caccavale, renowned thoracic surgeon, was featured on “Sound Advice” on WCTC 1450 AM, providing listeners with a variety of insightful information to mark Lung Cancer Awareness Month. Dr. Caccavale discussed the latest developments in lung cancer screening and treatment options. He emphasized minimally invasive video assisted thoracic surgery’s (VATS) role in lung cancer screening and how it is used when patients are diagnosed. After outlining the history of lung cancer, he spoke about the newest genetic testing that can be used to target therapies. Dr. Caccavale ended the hour with his insights into health and wellness. A number of listeners called in with perceptive questions, which elicited useful advice from Dr. Caccavale.